The Working Committee of the Tokyo 2020 has urged the Black Meteors, the national (U23) Olympic Football team to go all out and win their qualifying match against Gabon at the Accra Sports Stadium. The match comes off on Saturday, March 23, 2019, at 3.00pm and the Ghana Football Association Normalisation Committee (NC) has put together another tough game on the same day at 6.00pm between the senior national team, Black Stars and the Harambee Stars of Kenya. Paul Atchoe, the appointed Chef Du Mission for Tokyo 2020 by the Ghana Olympic Committee (GOC) and his team have wished the Black Meteors and Black Stars success in the doubleheader. Atchoe said Ghana has missed the football event for many years, since 1982 when they became the first African nation to win an Olympic medal. He said countries like Cameroun and Nigeria have improved upon the bronze at won Gold for Africa. “This is the time to make amends and go for the golden fleece,” he said. 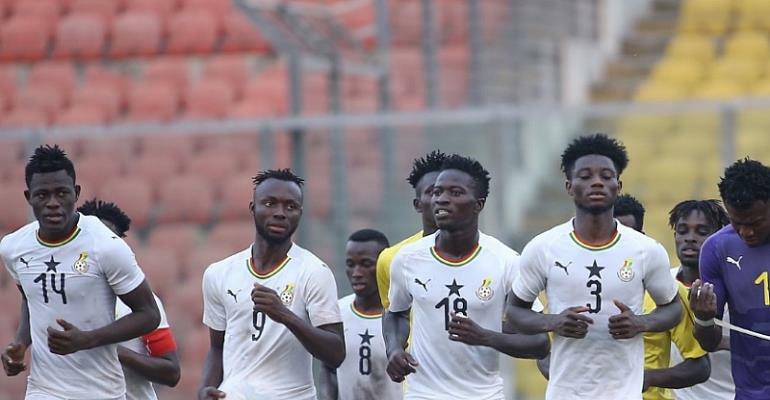 According to the CDM for Tokyo 2020, Ghana’s Black Meteors can always rise to the occasion and hoped that they will do the nation proud in these hard times when the game of football has taken a nose dive. He said misfortunes can be a blessing, and this year could be the year of redemption for Ghana Sports. He said preparations for the 2020 Olympic Games was started on time to create awareness and get financial and moral support from corporate Ghana. “We can make it again, as we have always set the pace. We pray that the Black Meteors will go all out and win massively” he stressed. Other members of the Tokyo 2020 Working Committee are the GOC President Ben Nunoo Mensah, GOC Secretary General Richard Akpokavie, Theo Wilson Edzie, Gudwil Agyeman, GOC Communications Director Sammy Heywood Okine, Melvin Brown, Nii Ayitey Africanus, Emmanuel Quaye of Champion Dishes, Nii Adote Dzata 1 aka Joe Mingle and Nana Mankatah.